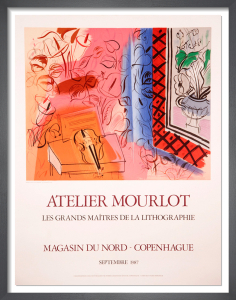 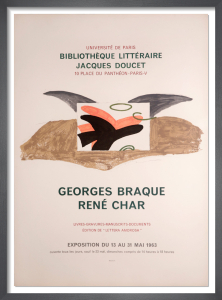 Georges Braque worked regularly with Mourlot between 1942 and 1945 and also encouraged his artistic peers to branch out and try lithography. 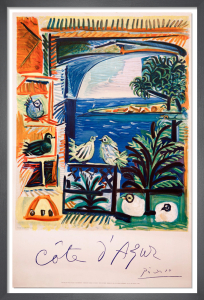 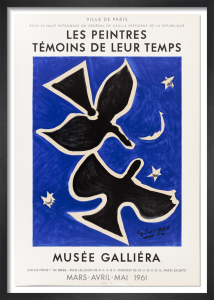 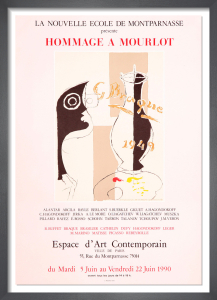 At Braque's insistence, other artists like Picasso and Miro came to the Mourlot studio. 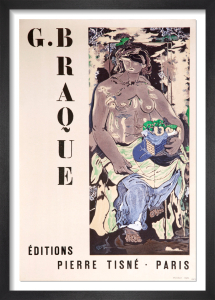 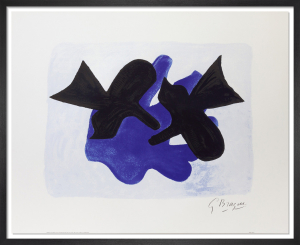 Braque was known for arriving at the print shop on a contraption that was part tricycle and part bulldozer, having crossed the entire city just to make a few slight adjustments to his lithographs. 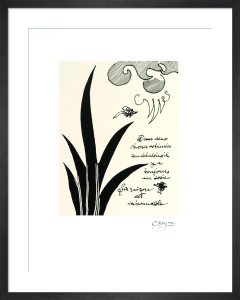 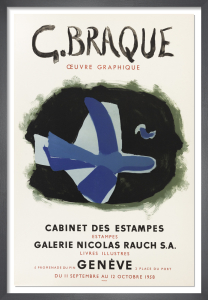 He loved lithography because it worked so well with the Cubist movement. 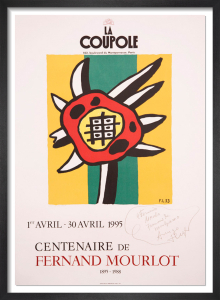 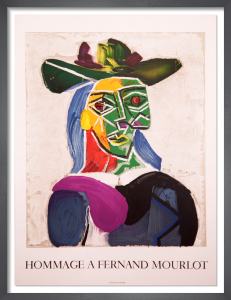 Cubism stems from the practice of collaging, and in lithography each colour requires a different stone. 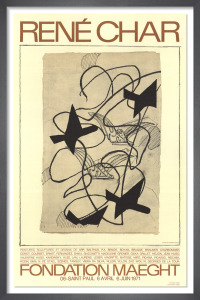 This process of introducing each colour separately allowed Braque to recreate the layers of collage in his prints.